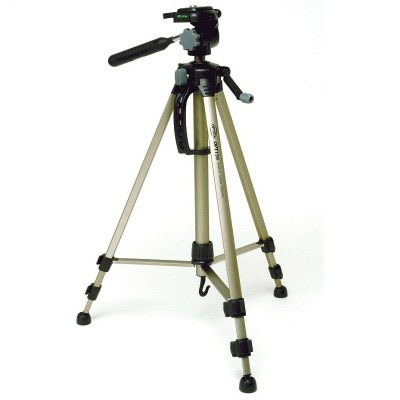 Optex photo/video/digital tripod features a 3-way pan head and quick release shoe. Durable Geared centre column, 2 bubble levels and convenient carrying handle. 3-section aluminum legs with adjustable rubber feet.